Alternative Dispute Resolution is a general term covering many procedures which provide alternatives to going to court to settle disagreements. Methods include arbitration, where disagreeing parties agree to be bound by the decision of an independent third party, and mediation, where a third party attempts to arrange a mutually agreeable settlement between the two sides. Columbia Pacific Law Firm provides both mediation and arbitration services, or can arrange a hybrid method specifically designed for your situation if the parties involved would like a more tailored approach. Both arbitration and mediation can be either binding or non-binding, enabling the parties to better understand their dispute and the strengths and weaknesses of each of their viewpoints. Litigation is expensive, and by its' very nature is adversarial. This often leads to increasingly hostile relations between the parties as the dispute wears on, and this hostility often extends long after the dispute is settled. As such, it is especially effective when the parties do not wish to spend the resources involved with litigation, and/or need to maintain a relationship following the resolution of a dispute. MEDIATION What Are the Advantages to Mediation? You get to decide: The responsibility and authority for coming to an agreement remain with the people who have the conflict. The dispute is viewed as a problem to be solved. The mediator doesn’t make the decisions, and you don’t need to “take your chances” in the courtroom. Many individuals prefer making their own choices when there are complex tradeoffs, rather than giving that power to a judge. You need to understand your legal rights so that you can make decisions that are in your own best interests. The focus is on needs and interests: Mediation examines the underlying causes of the problem and looks at what solutions best suit your unique needs and satisfy your interests. For a continuing relationship: Neighbors, divorcing parents, supervisors and their employees, business partners, and family members have to continue to deal with each other cooperatively. Going to court can divide people and increase hostility. Mediation looks to the future. It helps end the problem, not the relationship. Mediation deals with feelings: Each person is encouraged to tell his own story in his own way. Acknowledging emotions promotes movement towards settlement. Discussing both legal and personal issues can help you develop a new understanding of yourself and the other person. Higher satisfaction: Participants in mediation report higher satisfaction rates than people who go to court. Because of their active involvement, they have a higher commitment to upholding the settlement than people who have a judge decide for them. Mediations end in agreement 70 to 80% of the time and have high rates of compliance. 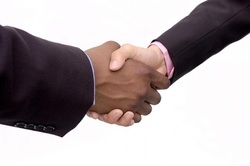 Informality: Mediation can be a less intimidating process than going to court. Since there are no strict rules of procedure, this flexibility allows the people involved to find the best path to agreement. Mediation can deal with multiple parties and a variety of issues at one time. In family mediation, for example, two children, Mom, Dad and Grandma might be involved. They may need to talk about chores, school performance, curfew, allowances, discipline, and the use of the kitchen. ARBITRATION Arbitration, is another form of alternative dispute resolution, and usually refers to a legal technique for the resolution of disputes outside the courts, wherein the parties to a dispute refer it to one or more persons (the "arbitrators", "arbiters" or "arbitral tribunal"), by whose decision they agree to be bound. It is a settlement technique in which a third party reviews the case and imposes a decision that is legally binding for both sides. This can be done with or without attorneys, although since it is a more formal approach than mediation, it is often helpful to use attorneys to help frame the issues and form your arguments for presentation to the arbitrator(s). While it is often "binding" on the parties, it does not have to be. It can be used also as a tool to get a sense of how an issue may be decided prior to engaging in litigation, to assess the strengths and weaknesses of a case, or to identify problems and concerns in a less formal and final environment.